The Seychellois are an extremely warm and friendly people, inhabiting 90% of the main island of Mahe, with a population of 87,476 (July 2009 est.) of which 54% is urban. The Seychellois are a mix of Creole, Chinese, Indian, French and British, and the main languages are Creole, English and French. The Seychellois boast of one of the highest standards of living and literacy rates in Africa. They are employed mainly in hotels or in factories thriving on the tuna industry. Though the majority are Roman Catholics, other religious groups including Anglicans, Hindus, Buddhists and Muslims also live in unity. The moment your aircraft begins its approach to the international airport of Victoria, the capital of Seychelles (officially known as the Republic of Seychelles), you are greeted with a diverse panorama encompassing this heavenly spot. Famous for some of the most stunning beaches in the world, Seychelles offers a dreamlike setting and is unquestionably categorized as a traveler's delight. Home to Mother Nature's legendary beauty, Seychelles is an archipelago of 115 islands in the Indian Ocean, northeast of Madagascar. Six island groups constitute the inner and outer islands of Seychelles. Granite islands cluster around the main island of Mahe, home to the capital city, Victoria. The inner islands of Mahe, Praslin, and La Digue represent the nation's centre of culture and economy. 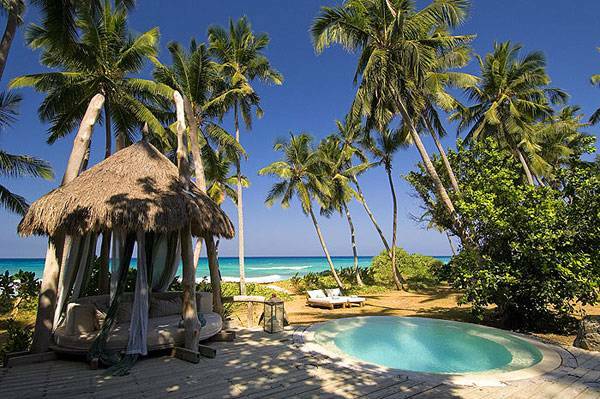 Seychelles encompasses a land area of 455 sq km, located between 480km and 1600km from the east coast of Africa. Of the 115 islands, 41 constitute the oldest mid-oceanic granite islands on earth, while the remaining 74 form the coral atolls of the outer islands. The seasons are controlled by the northwest trade winds, giving Seychelles warm and pleasant weather from October to April; May to September brings drier, cooler weather making it a year-round destination. January and February bring along the island rains. The biggest attractions of Seychelles are the beautiful beaches on the three main islands of Mahe, Praslin, and La Digue. These beaches look like delicate ribbons of white sand visited by turquoise waters and backed by plush hills. Seychelles is also home to Aldabra, the world's largest raised coral isle. The largest island of Mahe has many glorious bays offering wonderful adventure opportunities. La Digue offers gorgeous beaches with jade-green waters, and Praslin has mouth-watering fish, stylish lodgings and the illustrious Vallee de Mai. Experience the walks and trails along the primordial forests, or watch the birds and giant tortoises in their natural habitat. Visit the Morne Seychellois National Park, consisting of coastal Mangrove forests and the Morne Seychellois, the country's highest peak. If you wish to go fishing, diving, hiking, sailing, snorkeling, or surfing, Seychelles is a wonderful destination. 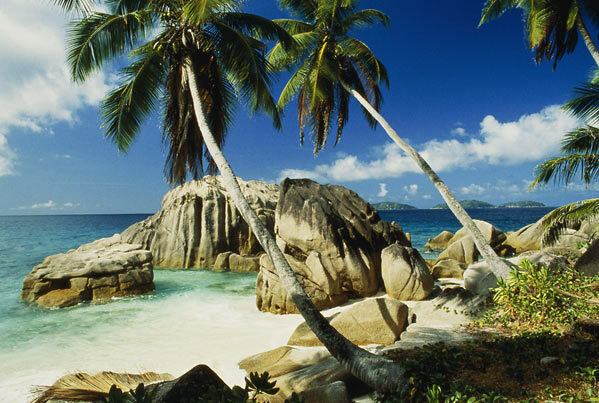 Seychelles was largely unexplored until the mid 18th century. The French (who had begun to colonize Mauritius) made an expedition to the islands in 1742. The French named the island Mahe after the governor of Mauritius, and in 1756 Mahe and the surrounding islands were claimed for France. Towards the end of the century, when Mauritius surrendered to the British, who were gaining fast control in the Indian Ocean, the British were also able to gain a foothold on Seychelles. They founded Victoria as the capital and Seychelles established trade of cotton, coconut, food crops, and sugar cane under the British rule. In 1903, Seychelles separated from Mauritius and became a crown colony, though the first political party was not formed until 1948, with single party rule. In 1976, Seychelles achieved independence from Britain and became a republic within the commonwealth. James Mancham was the first elected president of Seychelles, but he was deposed in 1977 by his political opponent, France Albert Rene. As Prime Minister, Rene returned to a multiparty system of government in 1991, before finally transferring the presidency to James Alix Michel in June 2004. 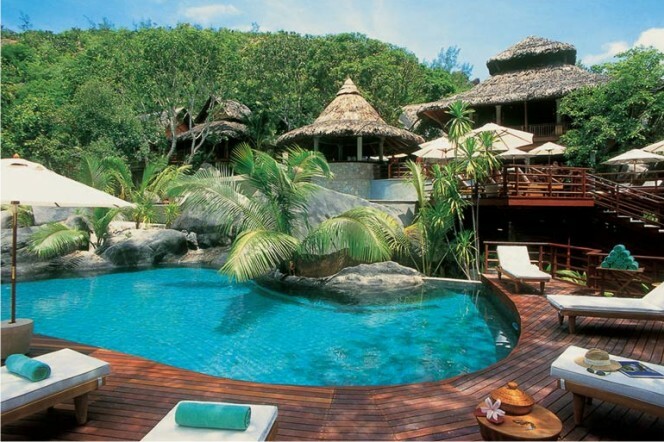 Known as a honeymoon destination, the nightlife in Seychelles is a low key affair. Nevertheless the discos, bars, and casinos are full of fun and frolic. You can either go for the most famous cocktail- Coco d'Amour, or the islands' locally distilled rum. The two most famous discotheques are Katiolo's and Ozone on Mahe island, and the Jungle and Oxygen on Praslin. For a calmer form of entertainment, try the Seychelles' solitary cinema, the Deepam, or book a leisurely sunset cruise. The best way to understand and experience the island culture is to visit the markets in the main town of Mahe and discover La Digue by ox-cart. The Kreole festival, celebrated in October every year, depicts the multi-ethnic Seychellois, a blend of different races, cultures and religions. This mix is evident in the Seychellois' art, architecture and music. The architecture symbolizes the colonial past with steep roofs and wide verandas. The captivating beauty of Seychelles has inspired many painters to produce creations using such mediums as watercolors, oils, metals, aluminum, fabrics, varnishes, and others. Sculptures are produced from wood, bronze and stone. Writers have documented Seychelles' history in short stories and poems showcasing island living. Drums and simple stringed instruments are played to the tunes of African, Malagasy and European music. Whether it's the Sega dance, the traditional Moutya, or the Kanmtole, accompanied by violin and banjos, traditional dancing is incorporated in all local festivities. The cuisine of Seychelles is as wonderful and assorted as its people. Seychelles gets most of its food from the sea, so fish is prepared in numerous ways. Grilled fish stuffed with chilies, ginger, and garlic, and cooked in banana leaves, is a national favorite, usually accompanied by rice. The diversity is revealed through the Creole cooking, featuring fine distinctions of the French cuisine, spicy meat curry of the Indian influence, and strong flavors of the Orient. To tempt the appetite, specialized Chinese and Italian dishes are also available in some restaurants. 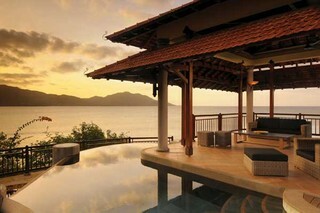 The name Seychelles invokes images of picturesque beaches and a palm-fringed tropical paradise. Visit the world's most beautiful and pristine islands, teeming with activity!